Elly Marie Saenz, 10, just beamed as she left the arena with her prize-winning goat. She’d taken second place for her class in the lightweight division, culminating long hours of work preparing her prize animal. “He had a bigger loin than everybody else,” Elly Marie said Wednesday at the Rio Grande Valley Livestock Show. The goat judging began at 8 a.m. in anticipation of numerous students showing their animals all morning. 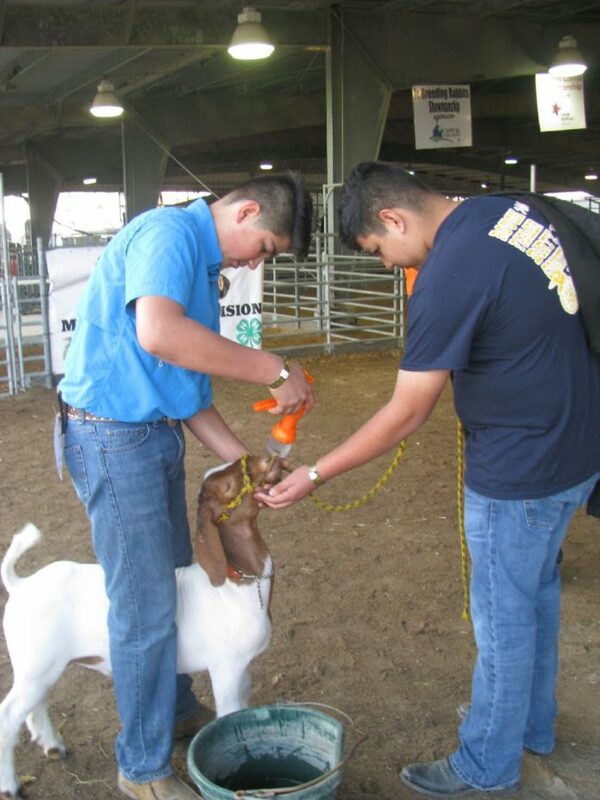 Joshua Munoz, 15, took first place for his goat. Joshua, a sophomore at Santa Rosa High School, has been showing animals and shop projects for years. Elly Marie of Mission was enjoying her first year showing while others were finishing this chapter in their lives. “It’s my senior year,” said Karina Saenz, 18, a member of Palm View FFA in La Joy. Karina, not related to the youngster, left the arena with a prize-winning goat and a smile on her face. Elly Marie, a fourth grader, was looking forward to building many more years of livestock show memories. Her mother Marilu Saenz was delighted. Of course, she’s had to direct her daughter’s enthusiasm somewhat. Hard work and discipline seemed to be the cardinal rules for every winner at the livestock show, whether or not they won a ribbon. And camaraderie seemed to be a first class benefit.